In order to drive a large commercial truck, drivers must undergo substantial training and pass a series of difficult exams in order to receive their commercial driver’s licenses (CDLs). If drivers wish to operate certain types of commercial vehicles–such as those carrying passengers or transporting hazardous materials (HAZMAT)–they must undergo additional training and receive additional licenses. Commercial truck driving requires all of these qualifications because operating these large big rigs is substantially more complex than operating a regular passenger vehicle for many reasons. While an average passenger vehicle generally weighs around 4,000 pounds, large tractor-trailers can weigh as much as 80,000 pounds. The sheer weight of the truck can make driving more challenging and drivers must be trained specifically on driving heavy vehicles. The heavier the vehicle, the harder it can be to slow down or stop, especially at highway speeds. Truck drivers must be aware of how much room to leave in case they need to brake. In addition, it can be a lot easier to lose control of a heavy truck on steep hills or on turns. In addition to weight, commercial trucks are significantly larger in size than passenger vehicles, as a single trailer can be 53 feet long. This does not include the length of the cab of the truck or whether a truck may tow double trailers. Additionally, because trucks are so much taller, the high center of gravity makes it more common for trailers to roll over. In order to avoid accidents, drivers must specially learn to safely maneuver these large vehicles around turns, when in reverse, and in traffic. While every car may have blind spots, commercial trucks have large areas surrounding the truck that they cannot see. These areas are commonly called “no-zones” and they exist along the sides of the trailer and directly in front of and behind the truck. While it is safest for motorists to avoid driving in these zones altogether, many drivers are not aware of the full extent of the blind spots on a commercial truck. 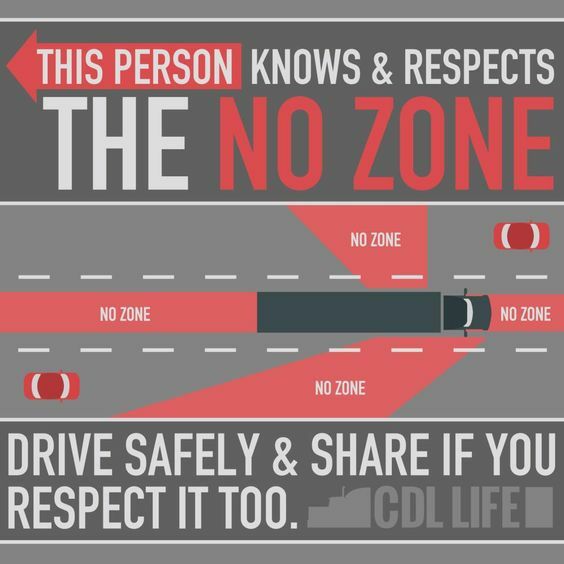 For this reason, truck drivers should constantly be aware of these no-zones and understand when it is safe to make lane changes. Commercial drivers are expected to follow all traffic laws, which can be confusing as the laws may change slightly as they drive through different states. Furthermore, truck drivers must comply with a wide array of regulations enforced by the Federal Motor Carrier Safety Administration (FMCSA). These regulations can be more stringent than local traffic laws regarding certain limitations, including driving under the influence and using handheld devices. In a truck accident case, you must not only examine whether any traffic laws were violated but also whether the truck driver was in violation of any FMCSA rules and regulations. Because of the difficulties associated with driving a big rig truck, driving ability and qualifications often play an important role in truck accident cases. For this reason, scrutinizing whether the driver properly operated the truck will be a highly important part of your case.